Finding a mid-size luxury car with fresh technology inside of it is important to you. We understand that, and we feel that you might be interested in the Jaguar XF and all that this popular vehicle has to offer. Do you get nervous each time that you take your gaze off the road for just a second to check your speed? Look at the settings on your vehicle before taking a road trip. Adjust your mirrors so that you have a clear view of the sides and the rear of your vehicle while you're on the road. Make sure your seat is properly adjusted as well to allow for maximum comfort for long hours on the road. Have you ever been stuck in traffic and started to text on your phone? You can make life so much safer and easier with Android Auto. Unveiled in 2015, Android Auto was made by Google to help drivers stay focused while they’re on the roads. You don’t have to worry about texting, making phone calls, or trying to find the right music app while you’re driving anymore. This is because Android Auto connects directly to your vehicle. You can use voice-enabled commands to control everything in your smartphone. Finding a vehicle that is fun to drive can be a complicated process as there are a number of things that you want to think about and features that you want to find. 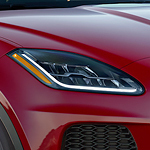 The Jaguar E-PACE is a popular compact performance SUV with all of the features that you want, including great interior features. If you're looking for a top-of-the-line luxury sedan, we at Jaguar Southampton invite you to sit in the Jaguar XE. When you take one for a spin, you'll be impressed at its handling and power, and you'll love how it feels to sit inside the cabin. Drive at a face pace in the all-new Jaguar F-PACE. Any popular luxury performance SUV like this needs to have some technology features that takes your driving experience to the next level of superiority. This vehicle has the whole package, including highly responsive handling, detailed craftsmanship, and useful technology features. Jaguar Southampton has an entire showroom featuring this vehicle. It is time to hit the road in style. But first, you need to prepare yourself for this ecstatic ride by connecting your iPhone to access all of your apps that display on the navigation screen. When you are looking for a luxury sedan, you want to find something that not only impresses you but that will also impress all those who see it. You want to drive a vehicle that draws attention and you need to find one with a perfect exterior. Stop by our Jaguar sales location to learn more about the popular luxury sedan that is the Jaguar XJ.